When I was 14, my parents sent me to France to live with a family over the Summer, in the hope that I would learn some French and come back mature, well-rounded and independent (and I think they wanted a break from my teenage mega-strops). I did come back speaking French, so it half worked. Not only was it a linguistic journey, it was also a culinary experience that has stayed with me to this day. Helping your child overcome issues with food is no different from tackling the other myraid of parenting challenges that life throws at us. The real beginning of the journey is about acknowledging that you have a problem. If you have a picky eater in the family, there are so many reasons why you may not yet have sought help. You may be unsure of where to go for support, you may have complex feelings about your child's eating, perhaps secretly suspecting that you may be part of the problem - facing up to these emotions is not easy. This post is about how to begin to turn things around. Festive family meals - happy holidays or a recipe for stress? For the most part, children's mealtime behaviour happens behind closed doors. However, whether it's Thanksgiving, Christmas or a feast day from another cultural tradition, big family meals mean eating in front of many people - often a time when parents of fussy eaters feel judged. Many parents tell me that they avoid revealing the full extent of their child's restricted eating because they are embarrassed about it or feel that it's some kind of reflection on them. At big family meals, there's nowhere to hide. Since ancient times, eating has been a communal business. We celebrate with food. We use food to mark significant cultural occasions. We re-group at the end of the day and share a meal along with our news. In recent times, however, there are so many demands on our time that the family meal is no longer the institution it used to be. It was a huge pleasure to work with Michelle - I wanted to share this video so that other parents can understand that they are not alone with their concerns about picky eating. It is a really common problem and can cause a huge amount of stress to parents and children alike. Luckily, there are some straightforward changes that you can make to family life which will make an enormous amount of difference. 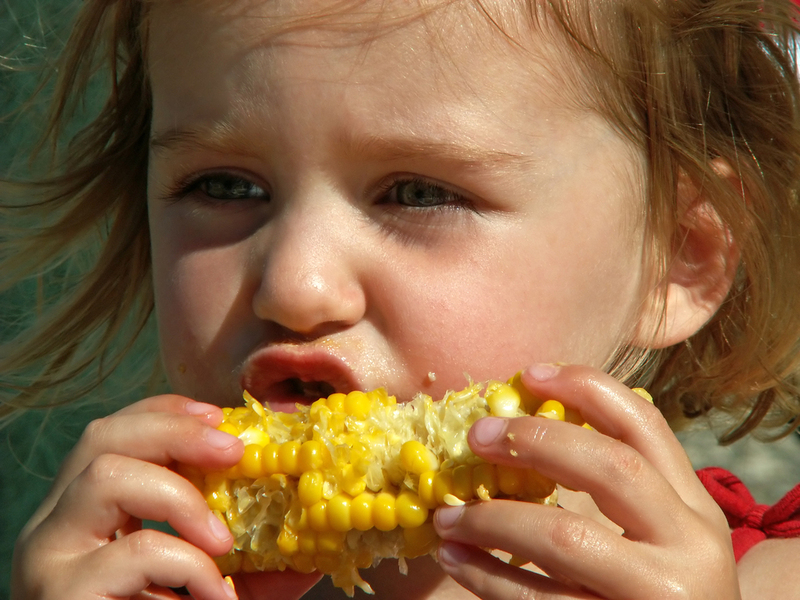 Ever stopped to consider the myriad ways you try to get your child to eat? In this post, I'll be looking at what we do to encourage our kids to eat, why we do it and what effect it has. American sociologist, parent educator and feeding expert, Dina Rose PhD is the author of the fantastic 'It's Not About the Broccoli'. I love it when readers get in touch with their questions about picky eating. It's funny how the same things come up again and again... It might feel like you are alone, but believe me, you're not. Despite unique situations and cultural differences, parents thousands of miles apart are going through the same things. When I got the following email from Sheila and Lisa about their two sons (aged 8 and 10) and then a client asked me the same question the very next day, I felt it deserved a blog post. 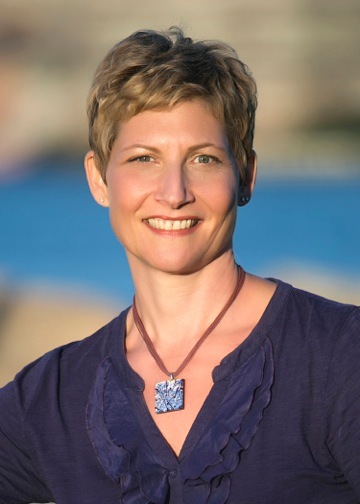 Dana Snook is a family nutrition expert based in New Jersey, USA. When we were chatting over twitter and Dana mentioned that she had done some training with Ellyn Satter that had radically changed how she worked with families , I was keen to hear more. I invited Dana to write a guest post about what she had got from learning from Ellyn Satter and how it had shaped her as a professional. What can your childhood food memories tell you? When I work with the families of picky eaters, I begin with an in-depth assessment. Parents are expecting my questions about how feeding progressed in the early days and about the transition from breast or bottle to solids. What they are not necessarily expecting are questions about their own food history. We all bring our own unique baggage to the task of parenting. Our attitudes and beliefs are very much shaped by our childhood experiences. Sometimes we unconsciously repeat how we were parented, sometimes we very consciously choose to do things differently. Either way, our own pasts are there in the background. I call the thoughts and feelings associated with eating that we carry with us from childhood our 'food legacy'. Until you have spent time thinking and talking about your food legacy, you won't be able to fully appreciate how it impacts on your child's relationship with food. Let me give you an example. In one of the case studies I did when I was researching War & Peas, I spoke to a mother who met my initial question about her relationship with food with surprise. She told me that she loves eating, she's a keen cook and has no issues with food whatsoever. After a little probing, however, she started to tell me about some painful childhood memories of meals where her very authoritarian father would make her stay at the table for hours until she had finished everything on her plate. She began to see that her attitude to her son's eating was coloured by this - she never wanted him to go through what she had and so if he didn't like his meal, she'd prepare him an alternative. Another parent* I spoke to frequently went hungry as a child. As a result, she was very sensitive to her daughter saying she was hungry and would let her take biscuits to bed with her. Her daughter was a bright little girl and soon saw that she could pursuade her mother to give her snacks just by crying and saying she was hungry. Soon, she had no appetite at mealtimes and things went from bad to worse. The following questions will get you started on the process of examining your food legacy. Take some time to talk through your responses with a friend or partner. 1) Was food used to punish or reward when you were growing up? 2)What food rules did your parent/s or carers have for you as a child? 3) How do these differ from the mealtime rules you have established in your house? 4) What is your happiest food memory? 5)What is your worst food memory? Sometimes, your food legacy will be mostly positive - perhaps your parents were laid back about eating and you grew up enjoying food as a family. For others, food can be a life-long demon to battle. If you feel you have issues around food that you cannot manage by yourself, seek help. Eating disorders are really common, for example, a recent US study found that about half a million American teens struggle with disordered eating. There are many good websites in the US and in the UK , that can point you in the direction of further support. Once you've gained some insight into your own relationship with food and have an understanding about where your beliefs and attitudes come from, you will be in a very strong position from which to work on your child's fussy eating. You will find it much easier to genuinely relax at mealtimes and to process the emotions that come up for you when your child refuses food. Simone Emery is mother of 2, wife and owner of Play with Food in Sydney, Australia. Simone has a masters degree in food studies, certificate in childrens nutrition and attended SOS Feeding Therapy training. Play with Food run healthy eating experiences for children. Play with Food offer set programs and can also tailor workshops or programs to groups. Here is my Interview with Simone. Earlier this month I wrote about hunger and how it's become culturally normal to [over] protect our children from feeling hungry. How do we do this? Snacks, snacks and more snacks. I'm looking forward to publishing my first guest post on the blog later this week. It is by Sally Kuzemchak of 'Real Mom Nutrition'-she'll be explaining 'snacktivism' - her challenge to US snack culture. It's been really lovely to hear from readers of War & Peas - I always appreciate feed-back, positive or negative. The thing that my readers have overwhelmingly told me has brought about the greatest change in their families is my stance on snacking. It's this simple: If you practice EAF, if your child doesn't want the food you have served him, he can leave it, but there are no snacks or alternatives. Equally, if your child is not eating main meals and you are offering snacks, try cutting the snacks out. Some parents are happy giving their child many small meals over the course of a day - they find that grazing works for them and their families. That's fine. If it ain't broke, don't fix it. What I am saying is that if you are concerned about your child's fussy eating and you want him to be eating three main meals a day, look closely at the snacks you offer. Make sure you introduce this change in a positive, non-punitive way. Explain gently that you are not having snacks any more because your child doesn't need them if he's not hungry at mealtimes. Be consistent. Once you've decided to stop offering snacks, you can't waver or you will find yourself embroiled in a power struggle. Cut snacks out gradually. If you offer a morning and an afternoon snack, try getting rid of the morning one for a few days, if you don't notice any change in your child's eating, drop the afternoon one too. Use a schedule. Offer snacks at consistent times so you can assess their impact on your child's eating. This will also allow your child to predict when food will be available, removing his motivation to pester you for snacks at other times of day. I'd love to hear from anyone who has a picky eater and is offering snacks. Try cutting the snacks out for a week and see what impact it has on your child's eating. Let us know how you get on! Here in the UK, our toddlers are the proud winners of the prize for the highest levels of picky eating in whole of whole of Europe. I'm interested in how we achieved that accolade - I've yet to explore eating patterns in other European countries (it's on my bucket list) but I have a sneaking suspicion it might have something to do with hunger. As parents, we feel that it is part of our job to make sure that our children never get hungry. We never leave the house without a snack, no car journey can get under way until raisins have been distributed and every playgroup in the land is punctuated by snack-time. Children should experience hunger - they should sit down to meals hungry and get up from them full. It's part of the natural rhythm of the day. I'm not talking about the kind of hunger that is born of deprivation, I'm thinking of hunger in the context of appropriate meals being offered at appropriate times. Many health professionals advocate two snacks a day for young children and that's fine, IF they are also hungry at mealtimes. My message is simple - if your child is refusing food at breakfast, lunch or dinner, cut out the snacks. In fact, I've had dramatically more feedback from readers of War & Peas about my stance on snacking than on any other aspect of my approach. It really does work. So much so, that I'm going to be having a dedicated snack week on the blog, featuring a guest post about 'snacktivism' - one US mother's fight against American snack culture. Snacking, however, is not the whole problem, it is simply symptomatic of our urge to stop our children feeling hungry. There are several reasons why we do this - children's behaviour is easier to manage when they are not hungry. Food gets used to entertain - bored children are hard work, so giving them something to eat keeps them occupied. Mini-cheddars are handed out like ritalin. Eat this and be quiet. Research into mothers' confidence about their parenting abilities showed that the less confident the mother, the more likely she was to try to soothe her child with food *. At the other extreme, we give children snacks to show we love them - our warm feelings become transmuted into shiny pouches of cleverly marketed organic purees and weird strips of fruit-glue in 'fun, peelable strips'... And we give them snacks because, at a very basic level, we don't want them to experience discomfort. This is a tough one, especially for parents who may have experienced hunger born of neglect or extreme poverty when they were growing up. But appropriate hunger is good. Appetite is your friend - if your child can learn to listen to her body's cues, she will be better at self-regulating and will learn when to eat and when to stop eating according to what her body needs. There are clear links between poor self-regulation and obesity later in life. If you mask your child's appetite by letting her graze throughout the day, it will be hard for her to learn how to listen to her body. If your child is a picky eater, often refusing food at mealtimes, get her weight and growth checked. If she is healthy, try cutting out the snacks for one week. Put up with some bad moods and complaining and prepare to be amazed.